Security situation in the country is getting complicated with every passing day. During the week, 59 people were killed and 71 others injured in 53 militant activities out of which 21 were recorded alone in KP suggesting that good days in province are yet to come. On the other hand, situation in Balochistan has not shown any sign of improvement. During the week, 125 people were killed in 32 security forces actions while 196 suspects were arrested in these operations. With increase in militants’ activities, although security forces actions (military action and intelligence-based operations) have also increased yet these efforts by the security forces did not prove sufficient to curtail militants’ offensive. 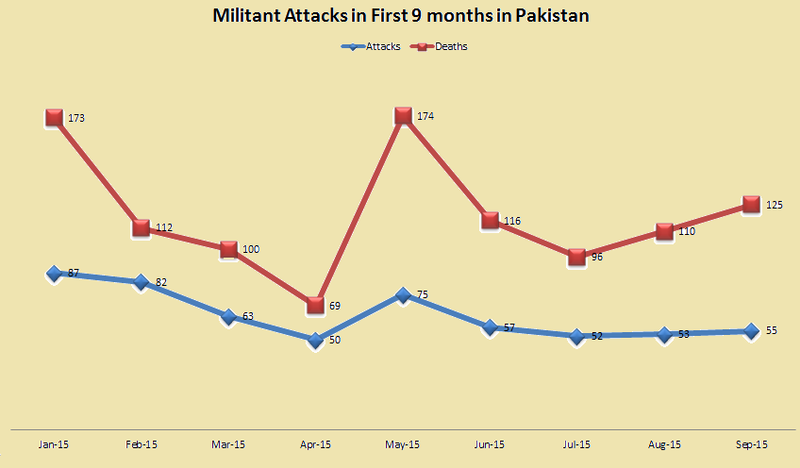 More coordinated and planned intelligence based operations would be required to wrest efforts of revival of militancy. Killing of foreign nationals in North Waziristan like Muhammad Hassan whom TTP claimed to be from Afghanistan confirm that security forces are taking indiscriminate action and no one is being spared. In addition, it also point to the fact that Afghan nationals are also involved in anti-Pakistan militant activities.